Adalay and Caroline entered the two cakes below in our local 4-H project show in the family living division. Addy’s cake, the Lemon Pound, won Grand Champion. Caroline’s cake, the Sock It To Me, won Reserve Grand Champion. Both cakes are delicious…perfect for any occasion. Enjoy the weekend! Take 2 Tbls. of the cake mix and mix with the cinnamon,brown sugar, and pecans; set aside. In large bowl, blend cake mix,sour cream,oil,water,eggs, and sugar. Beat on high speed for 2 minutes. Pour 2/3 of batter into greased and floured bundt pan. Sprinkle the cinnamon sugar mixture in the center of this and spread remaining batter evenly over this. Bake at 375° for 45-55 minutes. Cool in pan for 25 minutes. Remove from pan. To make glaze; Blend powdered sugar and milk together to make a glaze. Drizzle over cake. Preheat oven to 325 degrees. 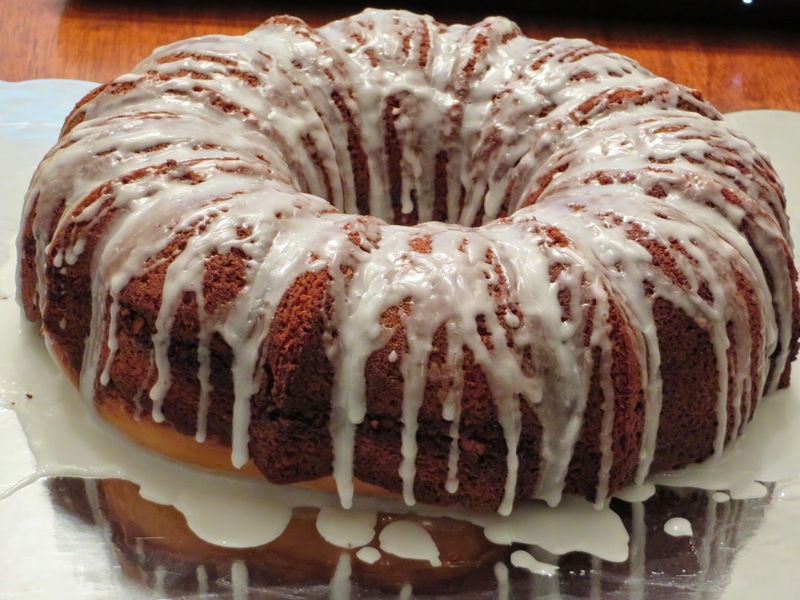 Prepare bundt or tube pan by coating with shortening or butter and flouring light. Set aside. Let butter, cream cheese, and eggs come to room temperature. Cream together butter, cream cheese and sugar til fluffy. Add eggs one at a time. Add lemon juice and zest and combine well. Add flour and salt and vanilla. Mix until just well-combined but do not over mix. Pour into prepared bundt or tube pan. Bake until golden brown and skewer inserted into middle of cake comes out clean, about 1 hour and 30 minutes. As the cake is cooling, whisk together ingredients confectioner’s sugar, lemon juice, lemon zest, and buttermilk to make the glaze. 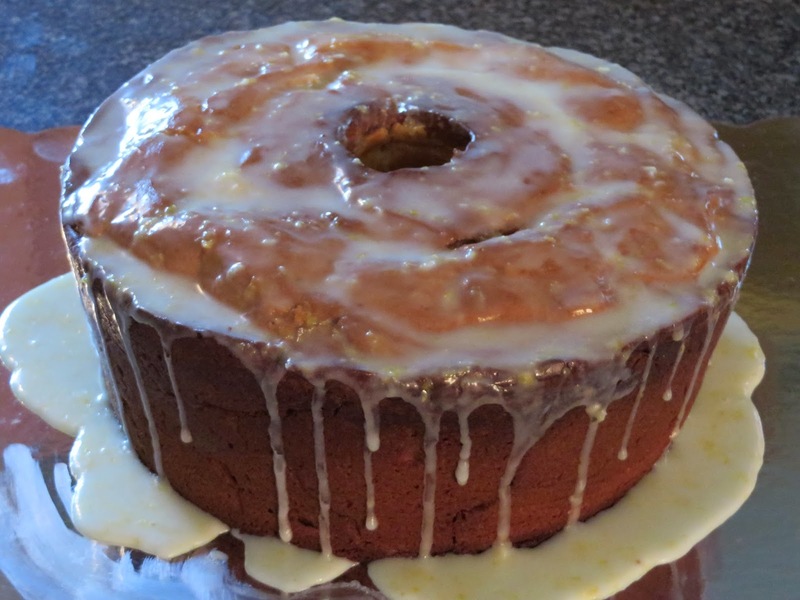 Allow to sit until cake has fully cooled, then drizzle over top of lemon pound cake.